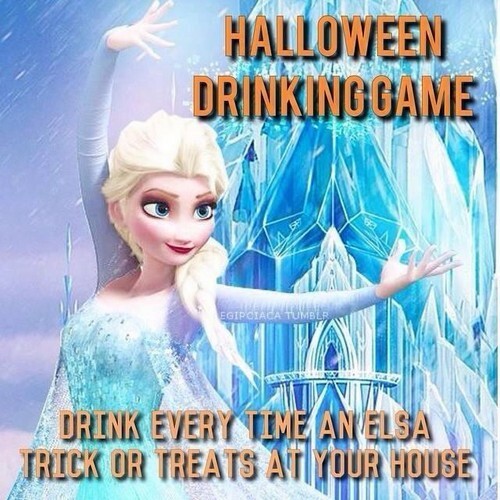 Halloween Drinking Game. Halloween's coming up, and with it: trick-or-treaters. Given how popular Elsa is now, you might as well make a game of all the Halloween costumes you know you'll see of her.. Wallpaper and background images in the Disney Princess club tagged: photo.